This is the most basic soccer skill. It is also the first thing that every child should learn. Practice dribbling by arranging pylons and asking the kids to dribble around them. Dribbling is done with the laces of the boots while not kicking the ball. Once dribbling is under control and kids have decent ball control, the next step is to learn to pass the ball. It is one of the most important skills. They should learn to pass to teammates and to receive passes. They should use the instep and accurately pass the ball. 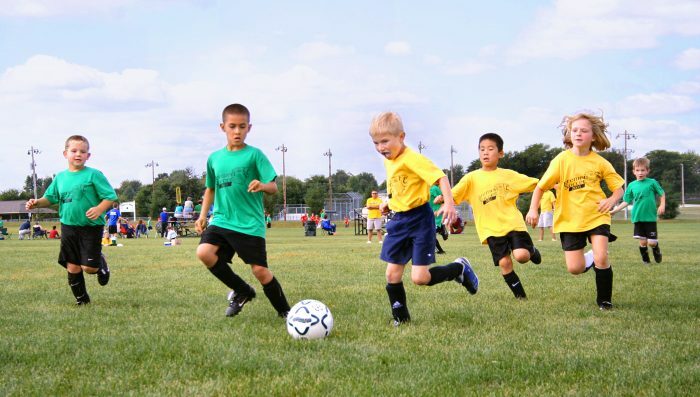 This is the most popular part of soccer for most kids. The ball should be kicked with the laces of the shoe rather than the toe. Kicking with the toe will result in inaccurate shots. The knee should be over the ball at the point of the strike. These are three most important soccer skills for any young soccer player. As the saying goes, practice makes perfect, and the more they practice, the better they will get. Goalkeeper gloves are two of the most important items in a keeper’s arsenal on the field, aside from water and a good towel. Gloves protect the fingers, and can help with grip. That’s especially useful in areas that have less-than-ideal weather conditions for play. With this brief guide, you’ll learn how to choose gloves to help elevate your game, without overspending on things you don’t need. Good gloves are going to cost anywhere from $20-$80, with the higher price points being top of the line. We’ll discuss what that means in terms of soccer equipment in a moment, but paying more than $80 isn’t something you should do on a whim. Instead, consider fit, quality and your needs as a player. You can tell a lot about a glove by looking at the fingers. You’ll see gussets (visible stitching where the leather overlaps) on some, but not on others. You’ll also notice stitching around the palm or backhand. Paying close attention to these details will prove useful in determining how snug of a fit you want, and the kind of grasp and mobility you’ll get around the ball. Do you want a wide palm for a snug fit on the ball? Go for a flat palm cut, which looks square and is modeled after the original soccer gloves first invented. A roll finger cut glove will have the palm directly attached to the backhand, and allow for better grasp around the ball. There are also negative cut gloves, which are becoming popular among serious players. They have a similar construction to flat palm cut, but the seams are on the inside the glove. What you get is something that feels like a roll finger, but plays like a flat palm. The main concept to keep in mind with goalkeeper gloves is protection. You want padding, especially on the palms, fingers, knuckles and backhand. This is to help catch a hard shot, punch the ball away and grasp a shot along the ground. Smooth palms are better recommended than dimpled ones, but it depends on the type of player you are. Smooth palms tend to have a gripping agent, which will wear off. They aren’t ideal for street play. For practice purposes, dimpled palmed gloves might be a better option. Newer gloves may have additional finger protection and support, such as spines sewn into the gloves. These may feel strange at first, but they are designed to help absorb impact and protect you. Remember, your grip is your best asset as a keeper. Protect your fingers! Soccer Garage is one of the largest specialty soccer showrooms in the United States, offering Reusch gloves with International shipping. Becoming an elite soccer player does not happen overnight. It takes dedication and hard work over several years to build up the skills and mastery required. Younger soccer players will learn the basic skills and movements and will slowly be introduced over the years to more advanced skills. Here we look at the five areas that players will need to master in order to become and elite player. Young players introduced to the sport at about six to eight years’ old will be introduced to basic ball handling skills. They will progress with more and more complex movements up until around 14 to the 19-year mark, at which point they will need to have mastered ball skills and match application of those skills. Beyond that absolute mastery will need to be achieved and maintained. As with the above, it starts out with basic decision making and combinations and moves on to the more advanced tactics. Ultimately at the highest level complete knowledge of team and opponent tactics will be required. Elite players are always aware of where they are in the game and what the opposition looks to be doing. At the start, it all about fun and getting some general activity in for the younger kids. As they grow older the game becomes more serious and they start to train with advanced aerobic training and glycolytic work. Once they move on to play professionally the training becomes much more position specific and individualized. 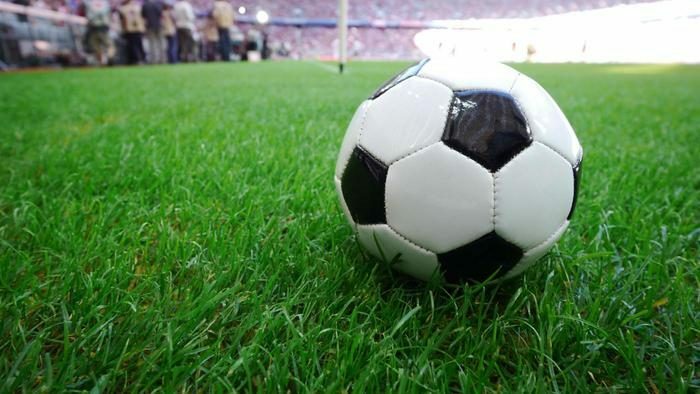 Although soccer is the most popular sport in the world, most fans might not know some of the most basic tenets of the sport. 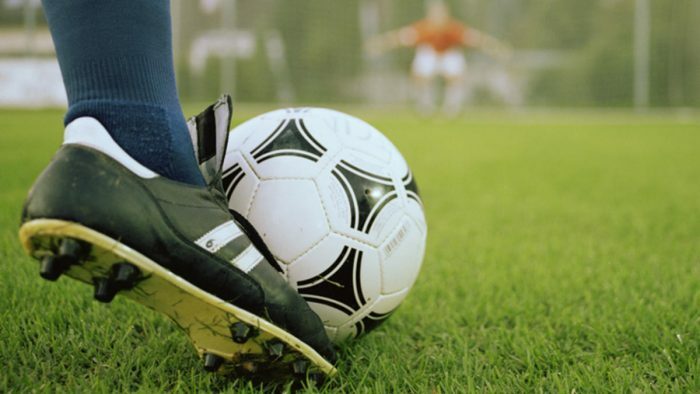 In this article, we will cover the most basic soccer concepts. Although taken for granted, there are rules that govern the size of the soccer field. There is no set size. However, there are minimums and maximums that must be adhered to. This range makes it very likely that most NFL and other stadiums can also be used for soccer. International games require a length of between 110 and 120 yards and a width of between 70 and 80 yards. 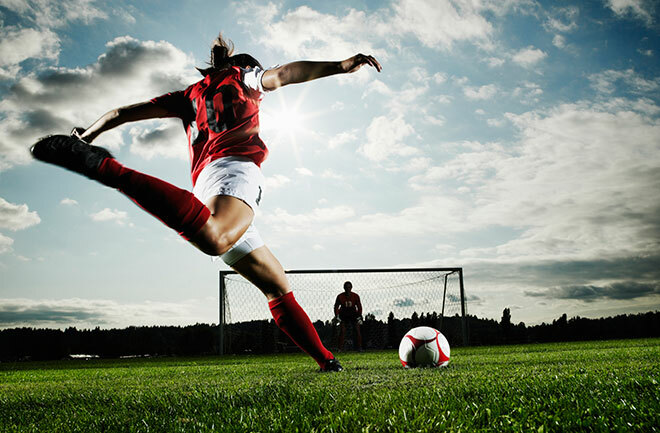 Top-level soccer games are 90 minutes long divided into two halves of 45 minutes each. The game ends after stopped age. Some countries refer to this as injury time. In soccer, the clock does not stop for any pause in the game. Any injury or issue that pauses the game is recorded on a separate clock. This time is what is used as stoppage time for the time that was lost. In soccer players do not stop playing until the final whistle is blown. In soccer punishment for any on-field offenses are signified by two colored cards. The yellow card is a warning for breaking the rules. Then there is the red card. That is for serious offenses and sends the player off the field immediately. It also means that the team will have to play a man down since there is no replacement for the player sent off. Two yellow cards are the same thing as a red card. The fastest way to increase endurance is with interval training. The method here is to do short bursts of all-out effort followed by a short rest period. This should be repeated for a minimum of four minutes. This protocol should be followed only once a week at most. Building endurance will also take some time on the track of the treadmill. Daily runs will go a long way to building a good base that can be improved by techniques like interval training. The basic math here is that if you ran a mile for five days a week, you could run five miles in a single session. The increase in miles needs to be done slowly to avoid any injury. The recommendation is not to increase distance by more than 10% daily. The long run is a single weekly or monthly run that is several times longer than your daily runs. A two mile daily run should result in a long run distance of about ten miles. It is probably a good idea to not run the day before and the day after the long run. The English Premier League (EPL) is considered to be the best soccer league in the world. It attracts the best players from all around the world and is one of the top paymasters in club football worldwide. 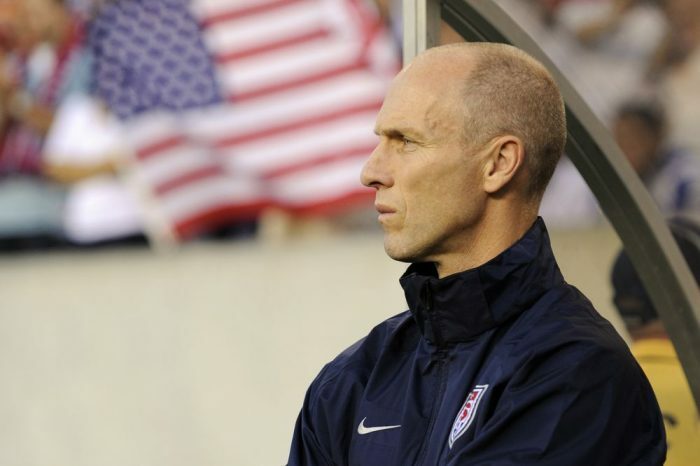 There has never been an American coach in the EPL, until now. “Maybe I’m stupid,” Bradley said. “But I think that I am a manager in and around that level.” When asked on a radio show earlier this year if he was up to the standards of the EPL managers. “I’m not saying I’m better than these guys,” Bradley added, referring to the likes of Pep Guardiola of Manchester City and Jurgen Klopp of Liverpool FC, considered two of the most highly rated soccer coaches in the world. He coached at the US collegiate and professional levels and he led the United States to the 2010 World Cup, where his team did better than European powerhouses like England, France, and Italy. His first task is to keep Swansea City out of the bottom three of the league. The bottom three teams get relegated to the lower division each year. 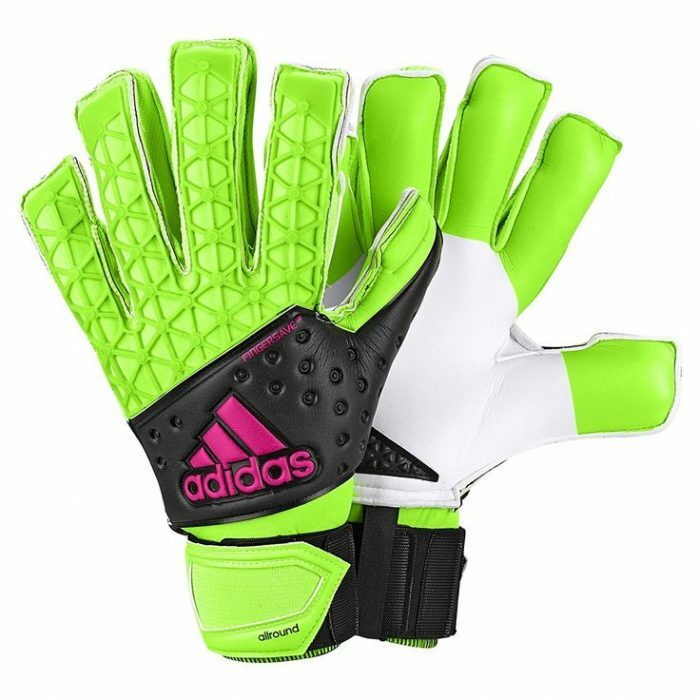 Nothing about goalkeeping gear is particularly expensive, but as you get deeper into any hobby or sport there will be premium gear some players insist is worth the price tag. For new players, or players looking to elevate their game on a budget, it’s tempting to make some very expensive decisions. This brief guide aims to teach players of any skill level what areas might be worth investing more money into. Expect your team to supply a goalkeeper jersey for game days, but for practice days you may want to gear up with some additional clothing. It’s good to have more than one pair of shorts, and long pants can be an excellent practice garment to protect knees from scuffs. During a game, long pants should also be worn on turf if the league allows it. Pads are another must, but some pairs of pants may have pads built into them. 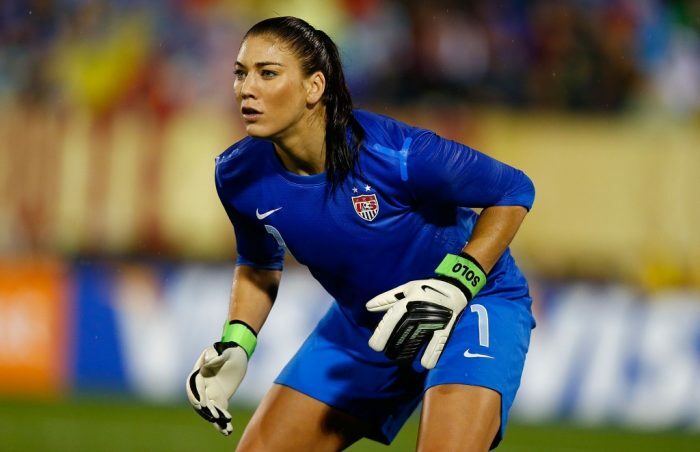 Goalkeeper gloves, along with additional pads on elbows and knees, are fine as long as they don’t impede movement. Avoid bulky and heavy gloves, even if they look like they’d improve your stopping ability. For gloves, you need enough padding to kill the momentum of the ball without stinging the palms or hyper extending the fingers. You may also want to get a tension grip for exercises too. Strong fingers make stops. Cleats are important because you need grip in order to improve your reactions and ultimately stop the ball from reaching the net. Keepers can afford to wear screw in studs because they don’t spend a lot of time running, where the studs may pop off. Molded cleats are usually ok for young players, or players who participate at a low level. Screw on studs provide the added traction high level players need to succeed. It’s also a good idea to own more than one set of cleats, as you may find yourself playing on different surfaces as the season progresses. Keepers can’t risk a loss of traction, and protection is prime. Using these two concepts, it should be fairly simple to hunt down quality equipment for your future soccer star. As for practice, it depends highly on what gives you the most trouble. Keepers should drill for all kinds of situations: from breakaways to corner kicks and crosses. Goal keepers need a solid foundation for decision making. The greater variety in your drills, the better your decisions in the heat of a game. Soccer Garage club members save on every order, with international shipping. Order goalkeeping gear from Soccer Garage today. One way of improving speed when running is to make sure you are running properly. There are guides that can be found online that will help check form when running. Incorrect form and technique are very important. Getting the mechanics right can remove seconds from your 100m time. Once you work out any issues with your mechanics, then you can look other ways to improve speed. The next thing to try is mobility work. Mobility work is usually not needed for younger players but older players who spend most of the day seated can have their flexibility and mobility compromised. Weekly mobility work will go a long way to restoring that movement and allowing the player to make the most of his mechanics. Strength training is another must for improving speed. Younger players can start with bodyweight squats as they might be too young to lift weights. Older players on the other hand can utilize the gym or weight room to build strength and muscle. This in turn will give them a power advantage and speed. Some examples would be Squats, Deadlifts and Kettlebell swings. The defender’s main goal is to reduce penetration. This means preventing the attacker from either passing forward, dribbling to the goal or shooting. The best way to achieve this is by applying pressure and strategic positioning. The defender should prevent a pass before individual duel occurs. The defender should try to position themselves on the goal side of the attacker, so that there is visibility of the ball and the attacker. Look to tackle the ball as the attacker makes their turn. If this was unsuccessful consider tackling the ball before confrontation occurs with the offensive player. Make the attacker screen the ball when the ball is touched. Prevent the attacker from turning with the ball and facing the goal. Look at facing the attacker halfway through their turn. Good defenders will know when an attacker has decided to turn. Avoid leaning on your attacker. Some attackers will use this to spin and play the ball into the space left open by the defender. Position the attacker into the least dangerous space. After the attacker has turned, guide him in the direction that you believe will cause the least damage. You can then set your trap, by being applying the correct speed. Avoid closing down on an attacker’s space too quickly, as this may cause the offensive player to play the ball behind the defender. A move that is too slow, can give the attacker too much time to play. When it comes to replica jerseys, they essentially identical to those worn by players on the field. The main difference is that they tend to have a slightly looser cut so it is more comfortable for the fan to wear. In addition, the materials and technologies used are probably different to keep costs down. The average fan will not need that fabric now will they need the performance characteristics. These are identical to those worn by the players. They are the same material, cut and even the fit. They tend to have a polyester blend wicking fabric, just like the professional players wear. For example an authentic jersey will have the brand logo on the top left hand, while the replica will have the team logo. There will also be other small differences to keep the weight down and maintain comfort levels. The choice, will depend on what you need in terms of a fan jersey. Just to spectate matches, at the stadium or even at the pub, the replica is fine. If there are any plans to actually play with the jersey, then the authentic is the way to go. Soccer Garage is a supplier of soccer apparel and soccer replicas.